The Back to School season happens at different times of the year for different people. Around here the arrival of August is the signal that the summer will end soon and it's back to the books. 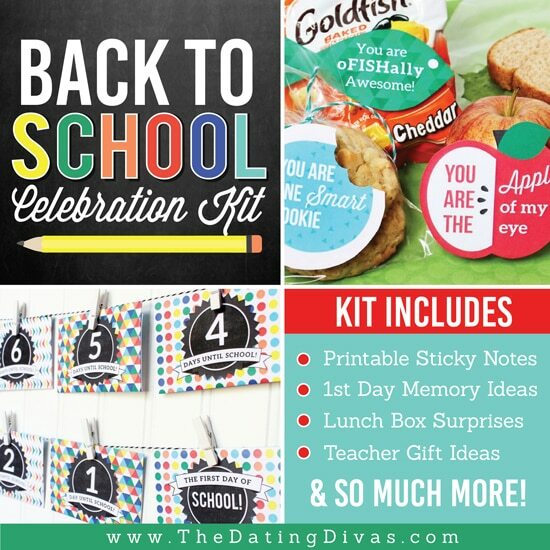 Today I wanted to share a collection of Back to School Crafts! A couple affiliate links appear in this post, just so you know. The three topics that come to mind- for ME- when back to school crafts are mentioned are Apples, School Buses and Pencils, so those are the categories I focused on! Some of these are fun to make WITH your kids in preparation for school or once school has started, while others are great to make FOR your kids, or maybe even for their teachers! For loads of more back to school crafts, activities, recipes and ideas, check out my Back to School Pinterest board! Previous Post: « 2018 Healthy Wage Review – Win Money for Losing Weight?! Great ideas for crafts here – my son LOVES school buses!! My daughter is starting school soon. All the starting kindergarten books, crafts, etc. very helpful! Oh I hope she has a good school year!